chubby toddler coming at me with a weapon! I was trying to figure out what image I wanted to use when I came across this quote and thought this image was PERFECT!! Check out Dearie Dolls Digi Stamps as she has WONDERFUL work and it’s free. Which is amazing….thank you Mary Ellen. This will be the last challenge For Fun Challenges. Helen just has too many things going on and can’t devote to the challenge right now. Crafty should be fun and when it’s not it is time to look at things and change things. That time is now. I will miss the challenge but so glad I have made a friend for life. Hope you will come play with us one last time! The challenge is to have an Arrow on your project. Doesn’t have to be Valentine’s but most certainly can be. Or you could do a scrapbook page that has a regular arrow on it. Can’t wait to see what you come up with. 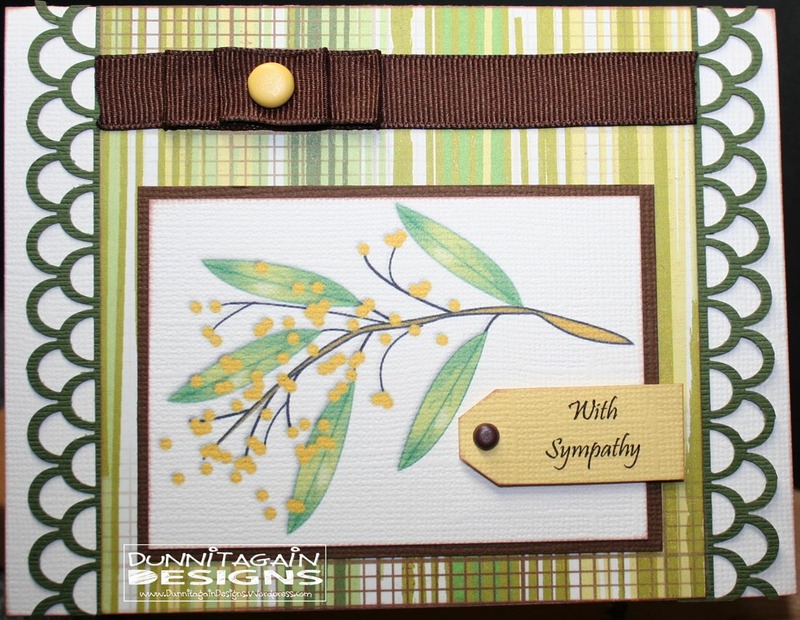 For this card I used the sketch from 02/04/13 at the Critter Sketch Challenge Blog. 1) 2 Sisters Challenge #130 – Hearts: have at least one heart on your project. 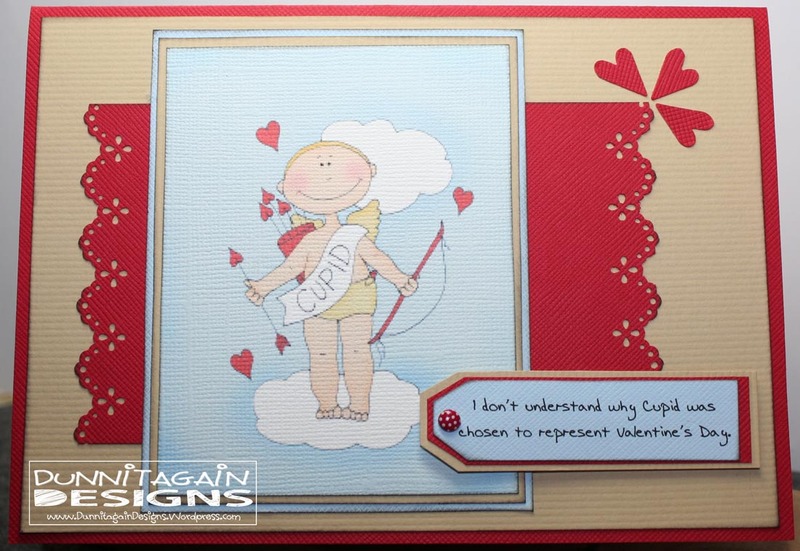 3) Card Crafter’s Circle Challenge #61 – Love is in the air! 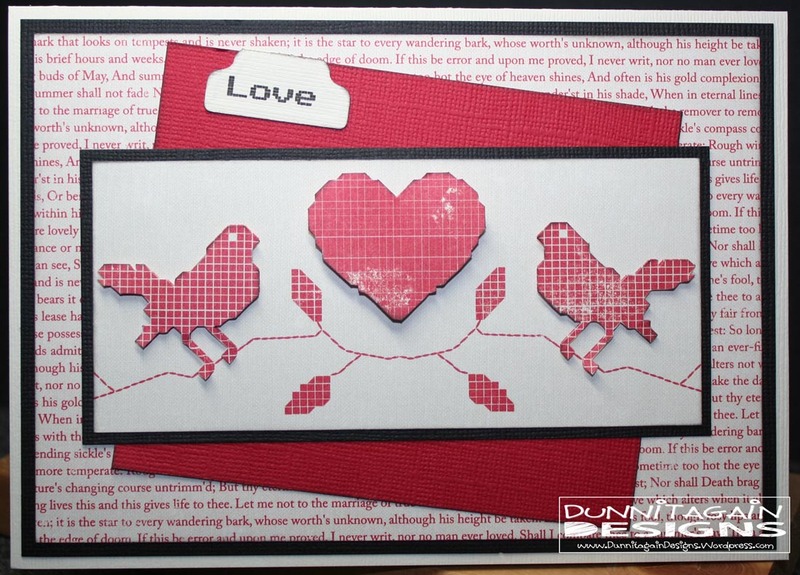 4) Daring Cardmakers – Love is in the air. Australia’s national floral emblem is the golden wattle (Acacia pycnantha Benth.). On August 19th, 1988 the Governor-General, the Rt Hon Sir Ninian M Stephen AK GCMG GCVO KBE, proclaimed the golden wattle as Australia’s national floral emblem. National Wattle Day is the first day of September. I also thought about doing something with a crocodile on it but I will save that for another day! I also saw that the Australia Open is going on this week. I decide to look for images of the Golden Wattle. I found one digital image that was free at JJDezignz. I thought it would be perfect for a masculine sympathy card since it wasn’t a girly looking flower. What do you think….does it work for masculine or should I stick giving it to females since it has a flower on it? I hope you take the challenge and push yourself to create a card inspired by Australia! I love how my card turned out….thanks for the push Helen. Birds of a feather… flock together! My cold must be getting to me! I feel cloggy and in a daze so not sure if I’m saying things right or not. 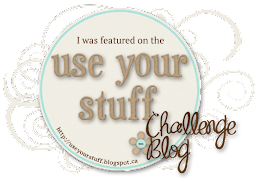 But what I’m trying to say is the challenge at For Fun Challenge this week is BIRDS! In honor of National Bird Day which was Jan 5th. I think there is a holiday for anything we can think of! And if one holiday isn’t enough then wait till May and there is Bird Day! At For Fun Challenges we are asking you to show us something NEW for the New Year! So I did a card for a new baby for the New Year! Just ask Helen she just became a GRANDMA!! Our local scrapbook store had a sale after Christmas which lasted 3 days. I found paper that had all sorts of animals on it and thought they would make cute baby cards. I got to playing with this elephant and decided I need some gray paper to go with it….so I HAD to go back to the sale on Day 2 at the store! So glad I did cause I think this card turned out super cute! I used the Deconstructed Sketch #58 for inspiration. 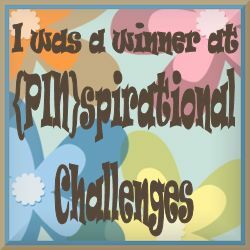 1) Creative Inspirations Challenge #195 – Celebration! Celebrating a new baby! 2) Day 1 @ 365Cards – let’s celebrate new beginnings (new baby, wedding, new job, new house etc.). Home with a Christmas Theme – like a house, birdhouse, etc.. This was such a fun challenges for me because it was different! I’m not sure I have seen a Christmas Challenge before that required a “house” on the project. Which I have bought paper in the past to make a Christmas cards with a home on it but STILL haven’t made them. This one I made unexpected when a friend came over to “play” for a couple hours. She brought over a cute 6 x 6 paper pad and asked if I would want to make a card using some of the paper. This card came to me very quickly which doesn’t always happen so I was very excited. I cut up enough pieces so she could make one too! Thanks Judy for the paper!! I hope you will take the challenge of having a “home” on your Christmas project and play with us at For Fun Challenges!! 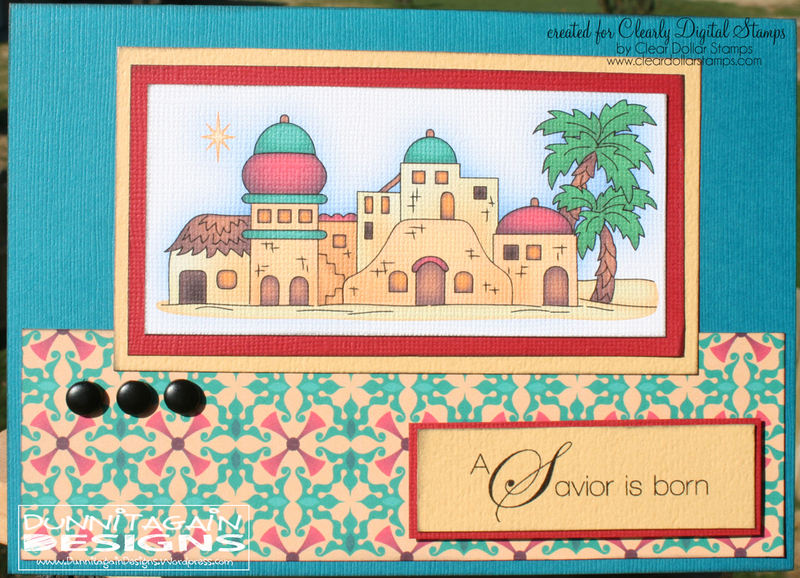 **NOTE** Please stop by THIS Sunday, 12/16/2012, as I will be part of the Clearly Digi Stamps (Clear Dollar Stamps) Blog Hop!! 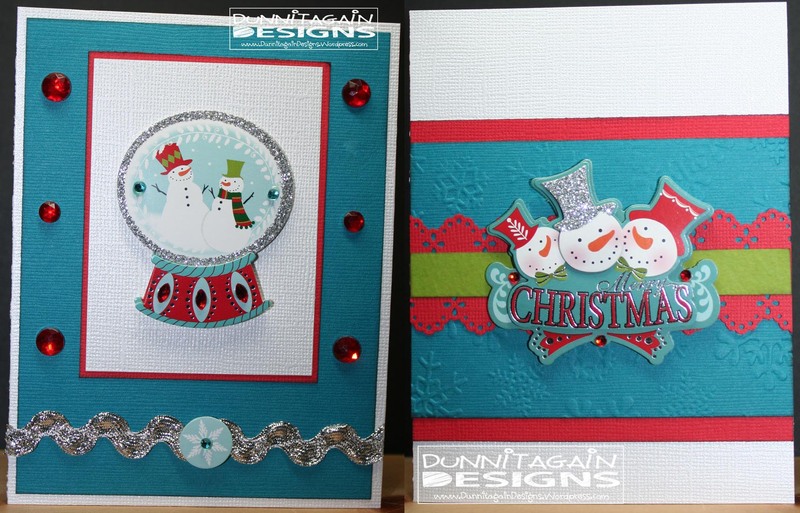 4) Perfect Sentiments Challenge #59 – create anything you want as long as it has a Christmas Theme and a sentiment on the front.